Click Here for PROMO CODE! 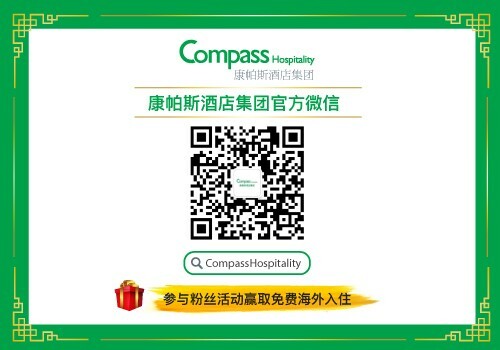 Book Now & Pay later at the hotel ! 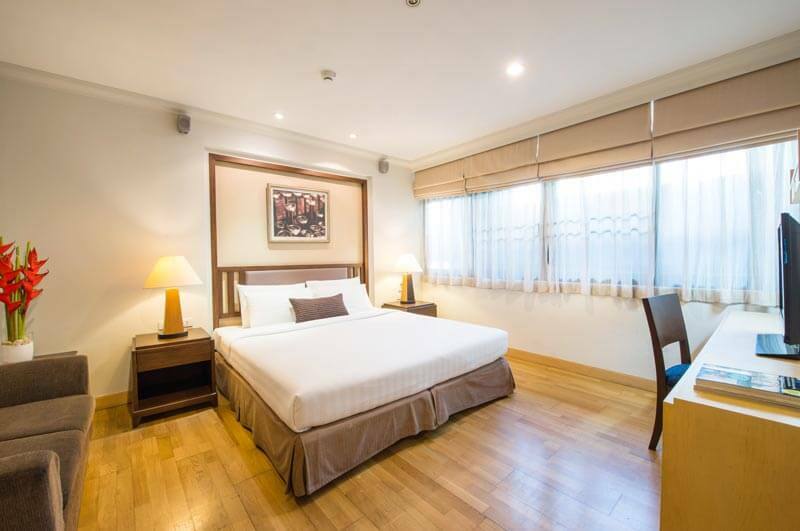 The Key Hotel, Bangkok features 43 mini suites, covering 6 floors. 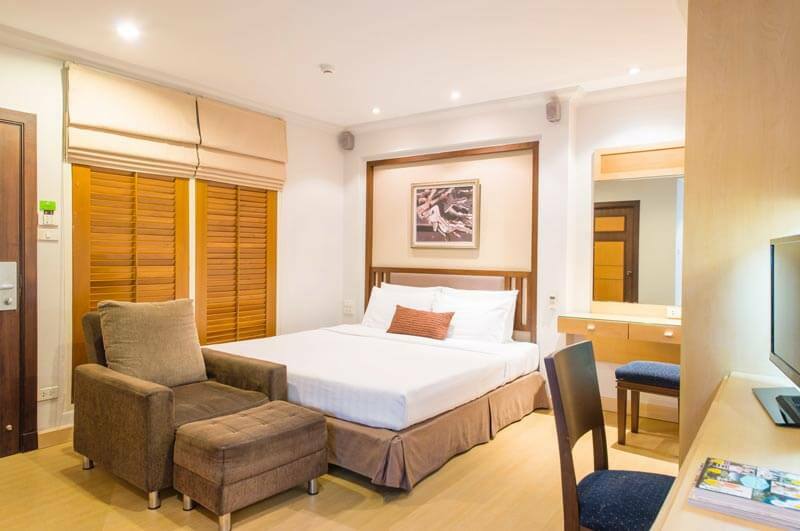 The hotel not only features modern and stylish décor but also have warm ambiance which will make you feel just like home. 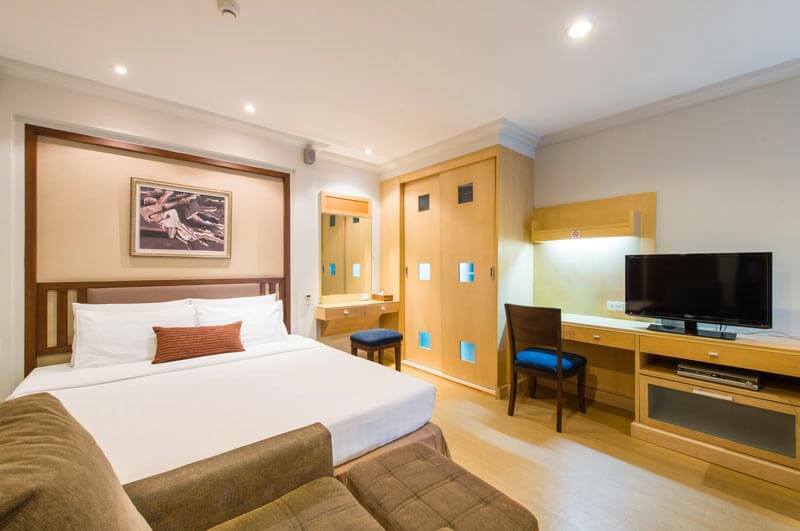 Experience the homely surroundings of our spacious rooms, designed with warm tones and providing all the essential amenities to suit the modern traveller’s needs. 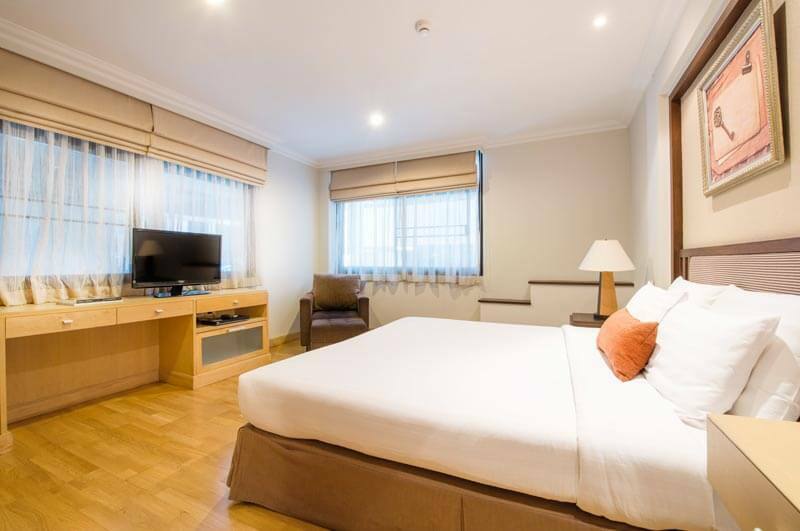 With a king sized-bed and fully equipped kitchenette, our rooms are ideal for both short and long stay guests looking for a cosy abode in downtown Bangkok! 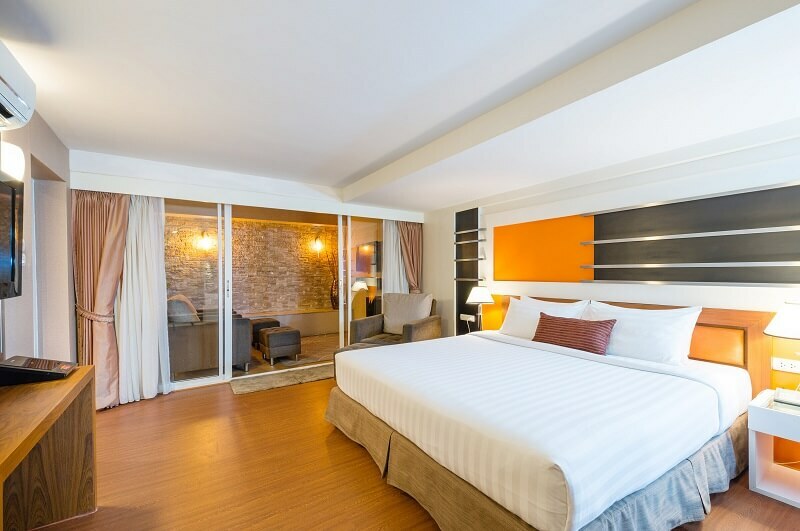 The Executive Room offers all the convenience and security that you need on your trip to Bangkok city. Equipping you with essential room amenities and safety features such as a safe deposit box to give you a peace of mind when keeping your valuables in your hotel room. The Executive Corner Room provides warmth and snugness for your trip to Bangkok – with a cushy king-sized bed and an en suite bathroom to accommodate you with the utmost comfort. 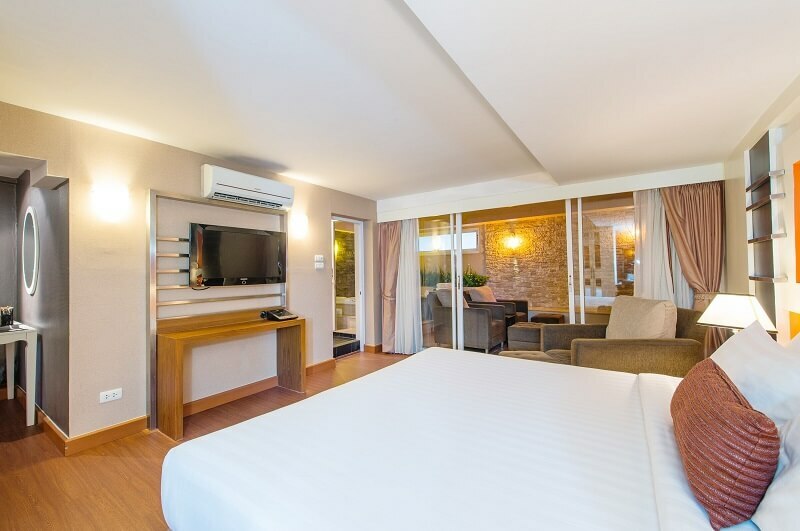 We also offer a high-speed wireless Internet access in all our rooms to keep you plugged in on your holiday. 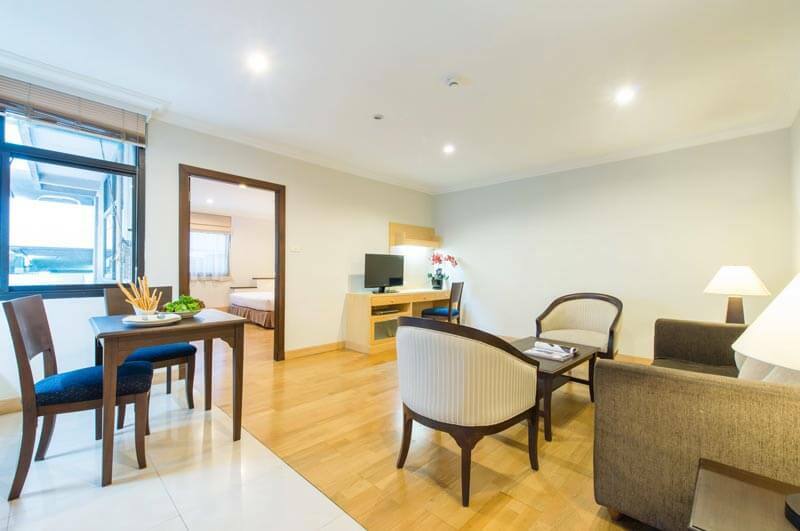 Unwind in the comforts of our roomy One Bedroom Suite with a separate bedroom and living room with a sofa, armchairs and a flat-screen TV. 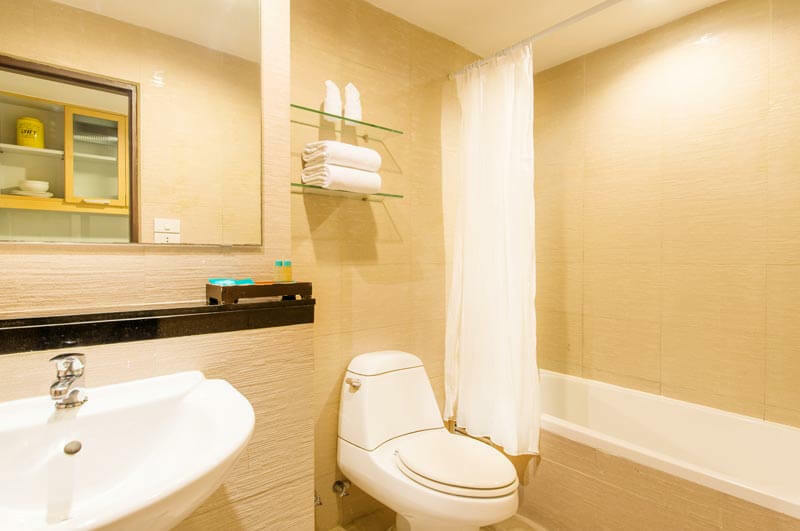 Alongside the fully equipped kitchenette and en suite bathroom, the Master Key Room is the perfect place to stay for long stay guests. 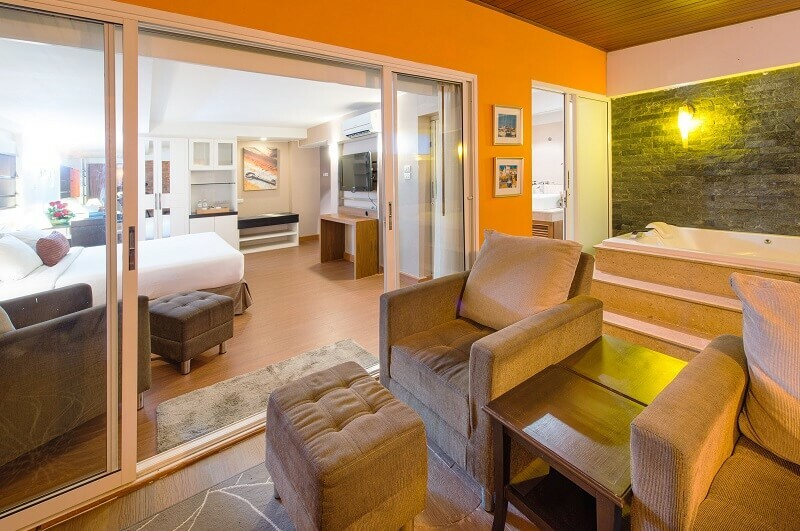 The Luxury Suite provides an atmosphere of warmth and snugness that makes it an ideal choice for a romantic break. Wash away the stress of everyday life in our Luxury Suites’ Jacuzzi bath to feel refreshed and revived. 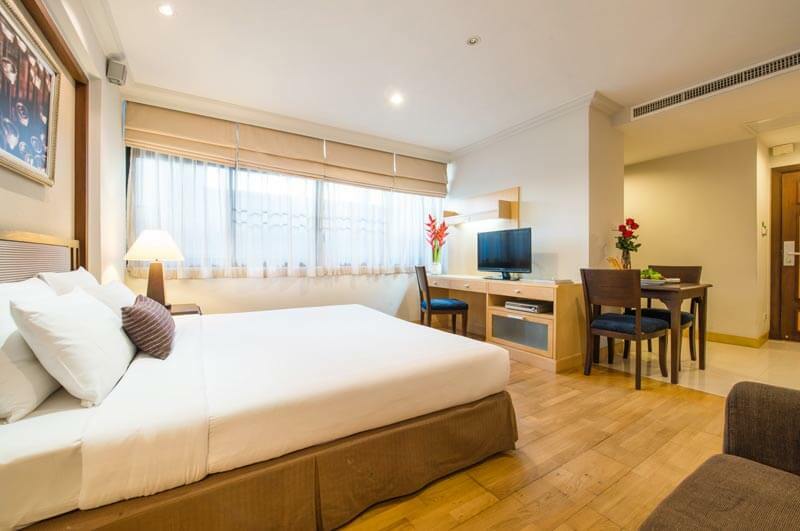 The Key Premier Sukhumvit Bangkok by Compass Hospitality is a newly opened boutique hotel located in the heart of Bangkok.